More and more holistic veterinarians and vets who emphasize the importance of nutrition are tooting the benefits of coconut oil for dogs. What Kind of Coconut Oil To Give to Dogs? How and How Much To Supplement? Disease Prevention: Coconut oil has strong antibacterial, antiviral, antifungal, and anti-protozoal functions. It can help prevent and treat infections (e.g. yeast infections, giardia infections) and infectious diseases (e.g. canine influenza). Weight Control: Coconut oil supplies fewer calories than other fats. It is beneficial for dogs who are overweight and cannot consume too much animal fat. Joint and Bone Health: Coconut oil can prevent and relieve symptoms of arthritis. Skin Health: Coconut oil benefits the skin greatly - it alleviates skin allergy symptoms (e.g. itching, dry, flaky skin and dry hair coat) and protects the skin against cancerous growths. 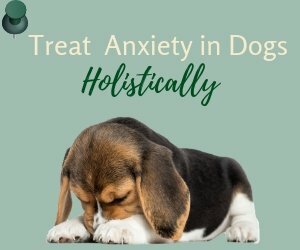 Hormonal Control: It is also believed that coconut oil can help with hormonal balance and is therefore good for dogs with diabetes or thyroid problems. 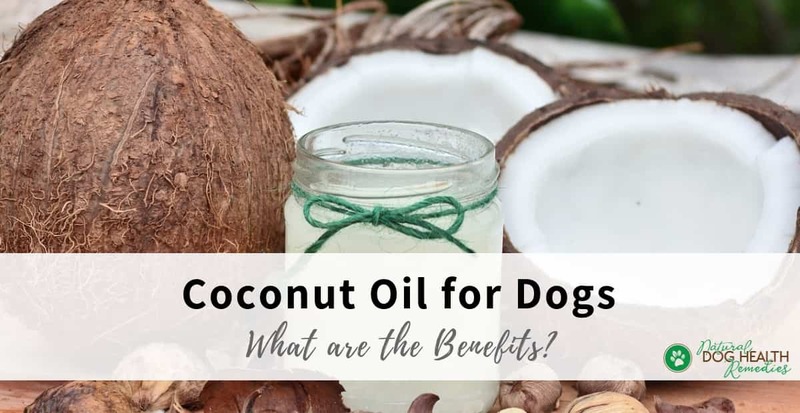 Brain Function Improvement: Coconut oil has been scientifically proven to improve brain function in older dogs as the MCTs can provide an alternative brain energy source for the dogs. Easy Digestion & Assimulation: Unlike other fats (which the body metabolizes slowly), MCTs are easy to digest so they do not put extra burden on the organs for digestion. They can be absorbed rapidly into the bloodstream, providing a quick source of non-carbohydrate energy. Efficient Use of Omega-3s: The MCTs in coconut oil help the body use omega-3 fatty acids more efficiently. That's why it is a good idea to give your dog BOTH fish oil (for the Omega-3s) and coconut oil. Cancer Prevention: Finally, it is believed that coconut oil reduces the risk of cancer and other degenerative conditions. Not only can coconut oil be taken internally, it can also be applied topically on our dogs. Disinfect cuts and promote wound healing. Improve our dogs' skin and hair condition, making the hair coat smooth and shiny. It can also eliminate the dog's body odor. Clear up numerous skin problems, such as warts, eczema, yeast infections, dandruff, precancerous lesions, ringworm, bites and stings. You can apply coconut oil directly onto the affected skin areas (e.g. on the lesions, ringworm, etc.). Put the oil on your hand and gently rub the oil on to the dog's skin. If your dog has dry flaky skin, or is prone to bacterial or yeast infections, you may want to do a whole body coconut oil treatment on a regular basis. This can keep your dog's skin nourished and healthy, as well as keep pathogens such as yeast and bacteria at bay. Bath your dog first so his skin is clean. Pat dry. 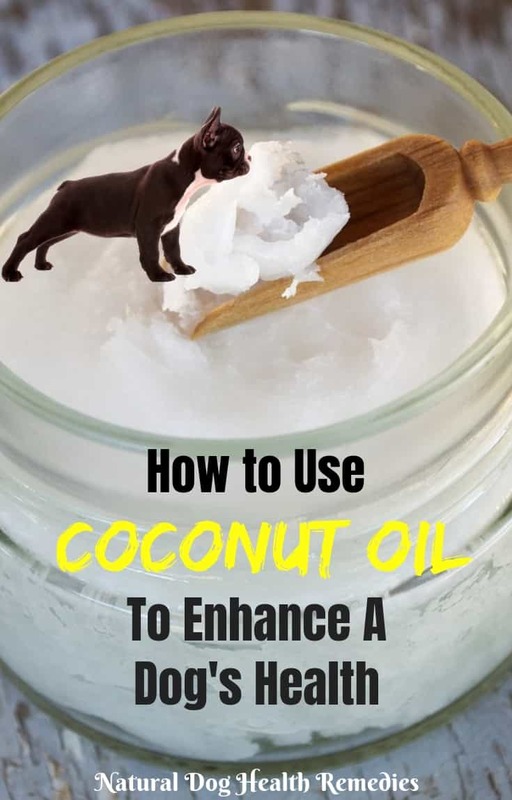 Apply coconut oil generously to his whole body - from the tip of his ears, to his legs, between the toes, under the "armpits", the tummy, the back, and the tail. Leave the oil on for about 5 minutes. Wash the oil off your dog's skin and fur using a mild doggie shampoo. 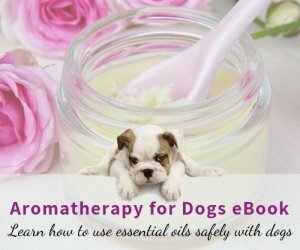 Depending on how dry or infected the dog's skin is, you can do this whole body oil treatment once a week. Coconut oil consists of more than 90% saturated fats, with traces of few unsaturated fatty acids, such as monounsaturated fatty acids and polyunsaturated fatty acids. When we see the words "saturated fats", most of us will think that these are "bad fats". However, most of the saturated fats in coconut oil are Medium Chain Fatty Acids (MCFAs), also known as Medium Chain Triglycerides (MCTs), which are supposed to assimilate well. The main component (more than 40%) of MCTs is lauric acid, followed by capric acid, caprylic acid, myristic acid and palmitic. Coconut oil also contains about 2% of linoleic acid (polyunsaturated fatty acids) and about 6% of oleic acid (monounsaturated fatty acids). Most of the coconut oil benefits come from the MCTs. For example, the lauric acid in coconut oil, when converted to monolaurin in the body, has anti-inflammatory, anti-bacterial, anti-viral, and anti-fungal properties. Capric and caprylic acid have similar properties and are best known for their antifungal effects. There are two main types of coconut oil - refined (very often labeled as RBD - "refined, bleached, and deodorized) and unrefined ("virgin" coconut oil). Refined coconut oil are usually made from low-quality coconuts or dried coconut meat and sometimes chemicals (e.g. chlorine and hexane) are used in the refining process. On the other hand, unrefined coconut oil is made from fresh, high-quality coconuts, either hand-pressed or manufactured in state-of-the-art factories. Unrefined coconut oil retains most of the nutrients found in fresh coconuts. Always give unrefined coconut oil to dogs as a dietary supplement. Dogs usually like the taste of coconut oil, so it can be added to their food at any meal. Some dog parents just let their dogs lick the oil off from a spoon. How much coconut oil to give to a dog depends on the size and health condition of the dog. As a general guideline, give about 1 teaspoon per 10 pounds of body weight per day. However, remember not to start with the suggested amount. You need to add coconut oil to your dog's diet a little at a time in divided doses. Because coconut oil kills harmful bacteria, viruses, and fungi, the burden of removing dead organisms can trigger symptoms of detoxification. Too much coconut oil at a time may also cause diarrhea and greasy stools in dogs. As a start, try giving 1/4 teaspoon/day for small dogs or puppies and 1 teaspoon for large dogs, and gradually increase the amount every few days. 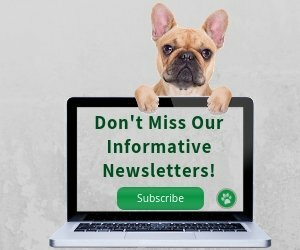 Reduce the amount if your dog has diarrhea. W.J. Dodds, D.R. Laverdue, Canine Nutrigenomics - The New Science of Feeding Your Dog for Optimum Health (Dogwise Publishing, 2015).